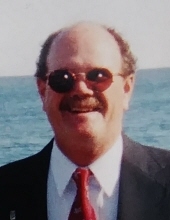 Robert (Bob) E Rackliffe passed away peacefully Thursday, April 4th, 2019, at Sussman House in Rockport. He was born on February 21, 1953, to Robert and Millicent (Roberts) Rackliffe. He grew up with the love for basketball, where he acquired the name of "Cousy" after Bob Cousy, a Celtics Legend. Bob started to work for the State of Maine when he was 18 years old, painting bridges, and working up to Bridge Manager during his 35 year career. Robert met his beloved wife, Renate, 44 years ago, while teaching scuba diving lessons. Together they traveled the world extensively, operating riverboats in France, climbing the Great Wall, touching the face of God in Tibet, visiting every country in Europe and enjoying cruises throughout much of rest of the world. For many years Bob's life was consumed with Karate and tournaments, where he achieved his advanced Red Belt, working toward his Black Belt. His next accomplishment was achieving his dream of flying, going solo in a Piper Cup airplane over Penobscot Bay. In later years Bob took up downhill skiing, having gotten a taste for it on the Jungfrau. Many years of his life were spent on his 27-foot motorboat on the ocean, exploring its many islands and peaceful Sebago lake. On his 25th wedding anniversary another dream of his came true when he received a Harley Davidson motorcycle, which he loved to ride. Bob was predeceased by his parents, Robert and Millicent, and a stepdaughter Susann Lundquist. Bob is survived by his wife, Renate, his sisters Carole and her husband Fred Stoddard, and Debra and her husband Jim Ripley, niece Robin Stoddard, and nephew Scott Stoddard and his family, stepdaughter Barbara Ann Larsen and her family, stepson Stephen Lundquist and his family, stepdaughter Sandra Denise Lundquist and many grandchildren. There will be a small celebration of Robert's life in May. In lieu of flowers, donations can be made in Robert's name to the Owls Head Transportation Museum, where he was a Lifetime Member, or Pope Memorial Humane Society. He will be missed by many who knew and loved him. To send flowers or a remembrance gift to the family of Robert Eric Rackliffe, please visit our Tribute Store. "Email Address" would like to share the life celebration of Robert Eric Rackliffe. Click on the "link" to go to share a favorite memory or leave a condolence message for the family.